Showing support for this legislation constitutes a golden opportunity for Sinema and Kirkpatrick — Democrats whose districts include almost equal parts liberal and conservative voters — to establish their moderate bona fides once and for all. Both have worked hard to stake out reputations as issue-oriented lawmakers who vote substance, not party. When the trade bill returns to Congress, there will be no better opportunity for Sinema and Kirkpatrick to put weight behind their claim to the centrist’s helm. The authority would allow the U.S. president to negotiate complicated trade deals with the partnership countries, all of which then would be put before Congress for a vote. Contrary to the concerns of “tea party” activists who fear awarding still more “executive authority” to Obama, Congress retains the final say. Global free trade is happening whether the unions like it or not. The only difference will be whether the trade teams of the United States help write the rules for trade among the markets of the Pacific Rim, or whether China does. It would approach economic disaster to assume that the U.S. should cut itself out of the fastest-growing sector of the world economy. And it would be the height of economic foolishness for Sinema and Kirkpatrick to sign off on such self-defeatism. For labor unions to be turning against Obama on this issue represents an astonishing slap at the most pro-union president of the last 100 years. By his appointments, Obama virtually has turned over the National Labor Relations Board to union interests. Siding with such special interests against this president would mean siding with the extremists. That’s not where these two moderation-minded lawmakers should be. There are three takeaways from this editorial opinion. 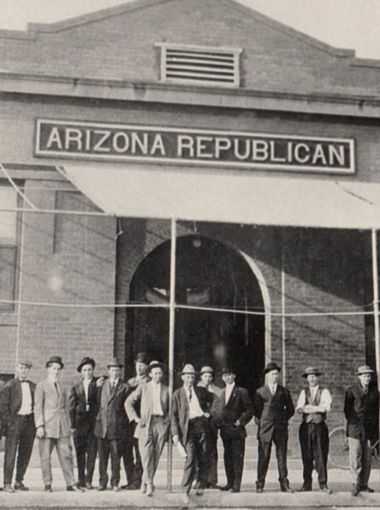 First, The Arizona Republican is celebrating its 125th anniversary this week, and its long and sordid history of anti-unionism continues unabated (this history is unlikely to be covered in this week’s self-congratulatory historical review). Who are the members of unions? America’s working class. The Arizona Republican defines America’s working class as a “special interest” and as “extremists.” Think about the diseased mind of the editor who sees working men and women as “extremists” to be despised and vilified out of blind hatred for organized labor (a constitutional First Amendment right of free association by the way). Second, The Arizona Republican remains the media arm of the Arizona Republican Party and the Arizona Chamber of Commerce and Industry. The editors are adherents of the Randian economic religion of the invisible hand of the free marketplace and free trade, a religious dogma not to be questioned by facts and observable results. Those of us who are from the blighted ghost towns of the once prosperous industrial engine of America’s “rust belt” can attest to the awesome destructive power of free trade and corporate globalism. Voters who lost jobs to trade deals wary of more promises. Those details have enormous repercussions. For instance, rules of origin specify how much of a product must originate within the TPP countries for the resulting product to be eligible for duty-free treatment. These are complex rules that decide where a company will manufacture its products and where is will purchase raw materials. Again and again, proponents of free trade agreements claim that this time, a new trade agreement has strong and meaningful protections; again and again, those protections prove unable to stop the worst abuses. Lack of enforcement by both Democratic and Republican presidents and other flaws with the treaties have allowed countries with weaker laws and standards and widespread labor and environment abuses to undermine treaty provisions, leaving U.S. workers and other interested parties with no recourse. Read the entire report, and ignore the damn fool editors of The Arizona Republican. Then contact your senators and members of Congress and let them know how you feel about Fast-Track and the TPP. All that whining and crying from McConnell and Graham and the rest of them dumb GOP Senators on how they couldn’t read the health care law because it was too long. Well at least it was accessible and could be discussed, if long. With this trade bill you can’t read it, it,can’t be discussed, it’s top secret, what the hell is that? Nonsense, vote no unless everyone can see it and debate it. First time in history I agree with the tea party on anything,other than metadata sweeps. So the unions represent the working man and woman, h-m-m? Then why do unions in the United States represent only 11.3% of the work force? That hardly constitutes “the voice” of the working people. It does seem they are more like a special interest because the demands of unions often put themselves out of business. And in doing so, they earn the title “extremists”. 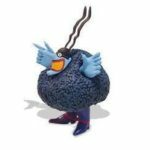 I will grant you that unions often do good things for the work force, but they just as often don’t know when to stop and they are quite willing to kill the golden goose in their arrogance. Having said that, I agree completely that NO trade agreement should be ratified unless it has been thoroughly reviewed in the light of day and the ramifications of the Agreement made clear. Especially if it originates with the Obama Administration. Why would the Administration put such an emphasis on secrecy unless he was planning on doing something further to hurt the United States? I don’t expect my Senators or Representatives to read the bills. There are too many bills and I don’t believe they are that intelligent. I expect them to have staff to read it and advise them. So if they don’t read it I don’t think that is much of a loss, but I DO expect them to have their staff brief them on it. This bill never needs to be passed. This is scary stuff. What is this a CIA intelligence committee on the location of our nuclear subs? The editorial of the AZ repuklic was expected. They are the shining example of what has gone wrong in american media today. To fully endorse this agreement without any knowledge of what it contains while criticizing labor and the tea party shows who they are held accountable to. Anyone who opposes the corporate interests of the state are traitors and extremists! They are so loyal to this mentality they support Obama 100%, whole cow! There are valid concerns on both sides of this issue. The only people drinking the kolade are those who receive money and influence from the corporate industrial complex. Congressmen, the President, the media, etc. This is an example of how corrupt things have gotten. I sincerely believe (because I have not read or been allowed to see the agreement) that TPP will be the final nail in the coffin for the middle class american. Those pushing TPP know this and it is why nobody is allowed to know what is in it but the special interests that put it together. How can ANYONE vote on a trade deal that no one has read, cannot be discussed, and that the public cannot be a party to? What is this, Putin’s Russia? Qatar on labor conditions?